Anthony Damiani's books are for sale through Larson Publications. Below each book's description you will find a link to the web page that will allow you to purchase his books. The paperback books below are also available in eBook editions from major online retailers such as Amazon and Barnes & Noble. This well-edited transcript of lively discussions with students in Sweden invites you to experience directly the vital core of your own mind through meditation and to see how your everyday world expresses the same deep mental power that thinks your "I." Anthony Damiani presents this combined practical and analytic approach as the most direct route to reliable spiritual independence—through commentary on Paul Brunton's writings on meditation, epistemology, and mentalism. 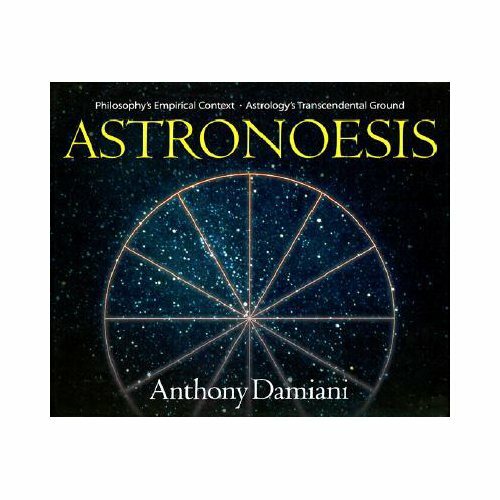 "This, the sensible universe," states Anthony Damiani in his bold introduction," is the primordial scripture . . . [It] embodies the wisdom of primal principles . . . that are as far beyond it as the heavens are beyond the Earth." He then draws us deep into the mind of possibly the greatest of all cosmologists of soul—Plotinus—to show "that the basis of astrology is an acquaintance with the wisdom-knowledge that sustains the cosmos." 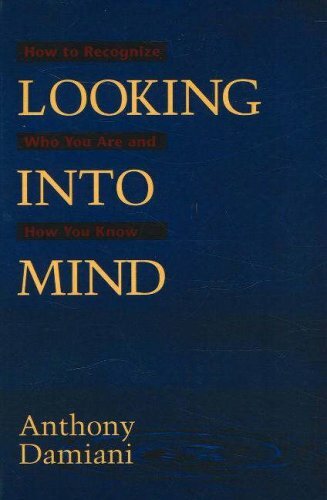 With incredible deftness, he shows how deep contemplation of universal and omnipresent "wisdom emanations" comes to a vital and unique spiritual fulfillment in each birth chart—that is, in the unique image of the whole of life that each of us calls "my mind." In keeping with its exquisitely contemplative content, Astronoesis is beautifully designed and meticulously manufactured. It is in a 10" x 8" horizontal format, has 416 luxurious pages of 80# Finch vanilla vellum paper, and is two-color throughout. It has more than 170 figures and diagrams, is full-cloth hardcover bound with gold foil stamping on front and spine, smyth-sewn to lay flat, and is wrapped in a non-curling four-color laminated jacket. Each volume is individually shrink-wrapped and retails for only $90. Because Astronoesis is over-sized and heavier than the average book, shipping cost is higher than average. This book concisely and accessibly delivers the essence of the Paul Brunton / Anthony Damiani school of spiritual awakening and practice. It offers what many consider a satisfying vision of mature spirituality: a perspective that honors reason and beauty, cultivates intuition and mystical experience, fosters reverence and true prayer, and inspires practical action and morality. Its approach to self and world is as broad and deep as life itself, articulating the unique values of each of life’s many aspects. As Robert Sardello wrote in his Parabola review, "People are starving to find meaning. But the one path that is open to the modern person, the spiritual path of thinking, is neglected . . . because there are not many individuals around who are dedicated to this path, because thinking has been captured by the forces of hardness. Perhaps this marvelous, this exciting, this truly tremendous book will give a new context for cognition—full of soul which reaches out to touch spirit. Wisdom can be approached only through the path of thinking-feeling, and we must be deeply grateful to Anthony Damiani for showing us the way again." Anthony Damiani (1922–1984) founded the Wisdom’s Goldenrod Center for Philosophic Studies in 1972. 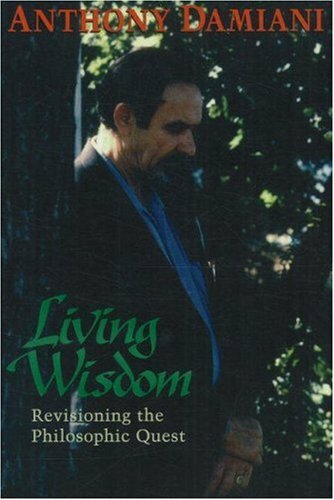 Living Wisdom is an edited transcript of his commentaries and elaborations on the “What Is Philosophy?” section of Paul Brunton’s Notebooks. Cut through the fog of cliches and propaganda that obscures the central issue of all the world's inspired spiritual traditions. See why their goal is not destruction or abandonment of the ego, but development and refinement of its potentials in tandem with deepening spiritual detachment from them. Understand how life's shattering blows are often moments of Grace, bringing you to more conscious relation with your Source. 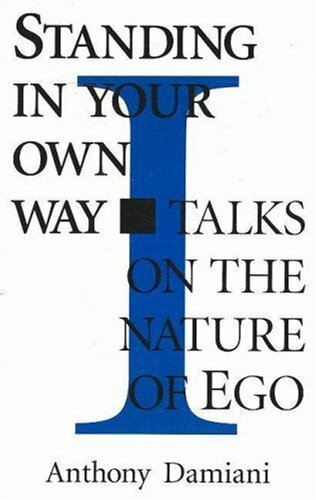 These talks are developed from transcripts of weekly classes and commentary, for a two-year period, by Anthony Damiani on Paul Brunton's notes on the ego in volume 6 of The Notebooks of Paul Brunton.